Bifacial solar panels offer up to a 22.6% efficiency rating for your solar project and are bifacial, meaning that they are double sided. The offer far better performance than solar roof tiles and are far more affordable as well. Instead of the old fashion 1 1/2 inch thick, aluminum framed, glass on plastic solar panels that most of the solar leasing companies are installing, these new next generation solar panels are only 1/4 inch thin and are made with a stronger, see through, glass on glass, frameless, construction that allows sunlight that is reflected off the roof or ground's surface to illuminating the backside of the double sided solar cells and produce additional power beyond their nameplate rating. And they offer a very high 94.3% PTC to STC performance ratio. They also offers a heat resistant -0.28%/degree C temperature coefficient for better performance in warm/hot climates. And a minus 60 degree C extreme cold temperature rating. And they cost far less which will saves you money on your do it yourself solar installation than leased or PPA solar panels. 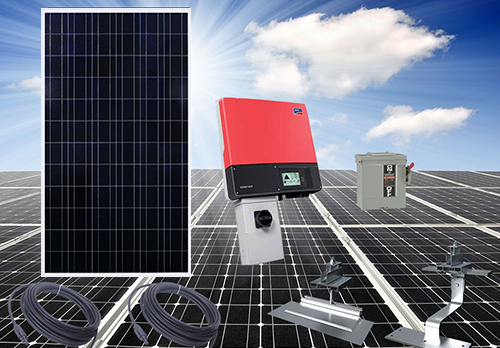 At Solar Kits Solar Energy you have a choice. Use one of our referred, experienced contractor's to install your Solar Kits solar system or save thousands by installing the bulk of your system yourself with our expert technical assistance. Either way you'll save thousands of dollars when compared to our competitors solar system offerings. 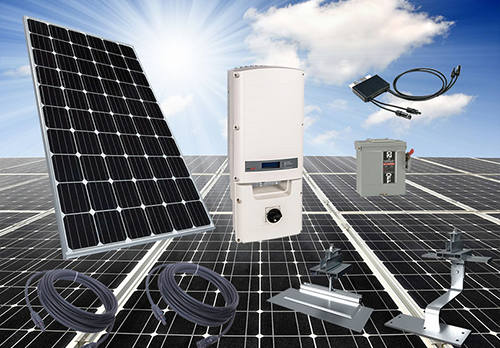 At Solar Kits Solar Energy, we're all about saving you money. Lots of it ! 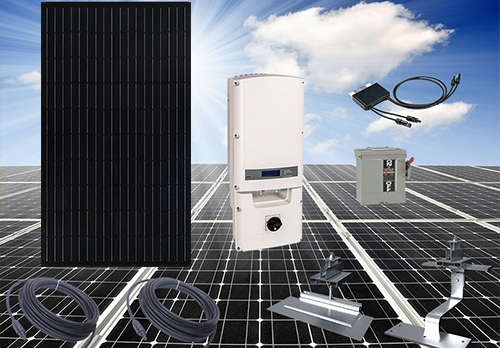 want to save thousands on a solar system for your solar kits home or business? Let's talk!